Pep Guardiola’s Manchester City are back in action this week as they face Huddersfield in the replay of the 5th round of the FA Cup on Thursday. The manager is evidently unhappy with the squad at his disposal and the recent injuries, to key players has only made life more difficult for the Spanish manager. This has seen the manager already looking to persuade stars to move to the club at the end of the season. Manchester City have been linked with some of the biggest names in world football for a move in the summer and reports from the Sun now claim that the manager is now ready to spend a similar amount of money like in the previous season, but this time, just on players from one team. The Spanish manager has been looking to improve a few positions in the squad and has been linked with a move for 4 players from French outfit AS Monaco. The current top scorers in all the leagues in Europe, Monaco, have had a superb season under Leonardo Jardim and are currently at the top of the table, 3 points off PSG in the 2nd place. And it is understood that Guardiola wants to spend up to £140m to land 4 first team players from the Stade Louis II in the summer. 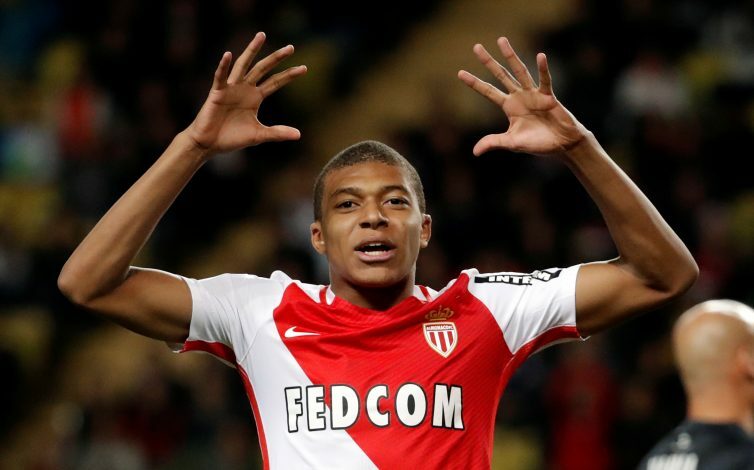 Striking sensation Kylian Mbappe, valued at £50m is the first of those targets for Guardiola. The 18 year old has been in sublime form for the French side this season and is wanted by the likes of Barcelona and Manchester United but Guardiola is confident he can land him in the summer. The manager is also looking to add to his midfield and defense and is looking at Brazilian star Fabinho, attacking midfielder Thomas Lemar and defender Benjamin Mendy, all from the first team at Monaco. The three players are set to cost close to £90m together and however improbable it may sound, Guardiola is reportedly ready to do what it takes to arrange a reunion for the quarter at the Etihad next season. Do you think Guardiola can land all three stars this summer?